See where your favorite Disney film lands. For more than 80 years, Disney has been defining childhoods and making adults unashamed to say that some of their favorite movies are cartoons. The studio has produced dozens of animated films over the years, and many of them are now considered among the most groundbreaking and well-produced movies ever made. 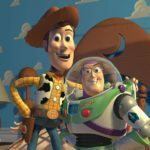 We took a look back through Disney’s impressive canon of classics and pulled out the animated non-Pixar movies that stand as the most popular, whether due to box-office success, critical acclaim, enduring legacy or some combination of them all. To make things really interesting, we ranked them from worst to best. 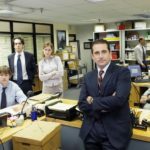 Some movies that were thought of as flawless when they hit theaters have taken severe hits to their reputations as years have passed — while others have only become more beloved with the passage of time. Where does your favorite Disney movie land in the rankings? 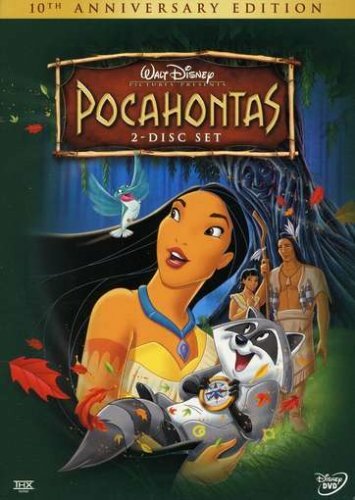 When it hit theaters in 1995, “Pocahontas” made plenty of money, won a couple Oscars and featured the first woman of color to lead a Disney film — but it got plenty wrong, too. The movie has been a frequent target for critics, due to its historical inaccuracies and soft-handed treatment of the white conquest of Native Americans. At 57 percent, it has one of the lowest Rotten Tomatoes scores of any Disney animated theatrical release and the usually generous IMDB voters aren’t much kinder, giving it a 6.7 out of 10. 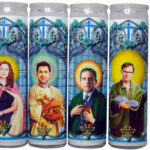 Plus, it’s hard to take advice on cultural sensitivity from a character voiced by Mel Gibson. 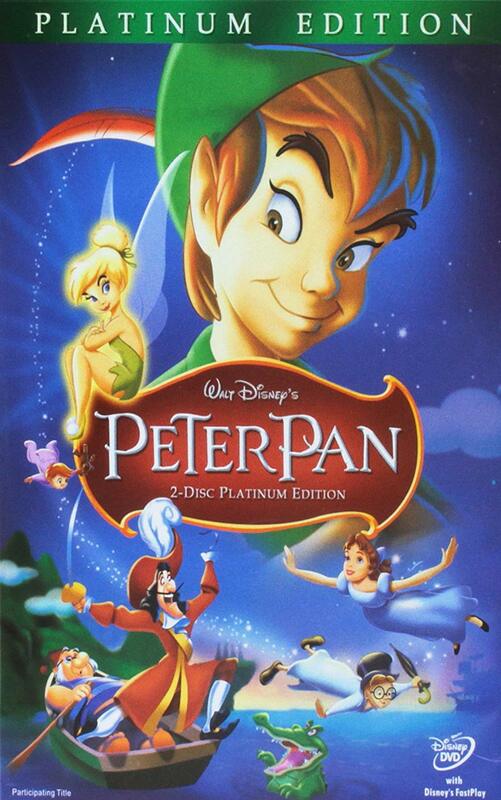 An older Disney favorite with a legacy that has suffered a bit over the years is 1953’s “Peter Pan.” Based on J.M. Barrie’s iconic story about the boy who never grew up, modern audiences have viewed Peter Pan as more an example of toxic masculinity and selfish bullying than a character to be admired by children. The lively image of Tinker Bell remains the most enduring from “Peter Pan,” followed by the over-the-top portrayal of Captain Hook. The film does manage to cram a lot of memorable set pieces into its brisk 76-minute runtime. The 1970s and 1980s aren’t remembered as Disney’s shining decades but “The Aristocats” stands as one of the most popular of the era. It’s a jazzy movie about a family of well-to-do cats who get into an adventure with an alley cat named O’Malley. 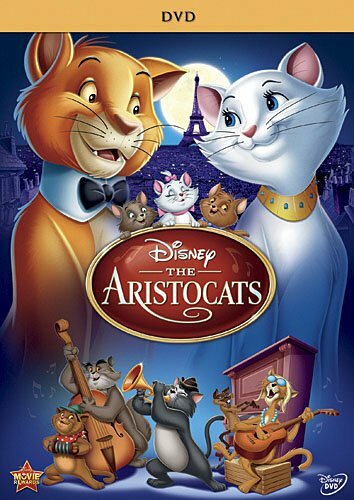 “The Aristocats” was the final film approved by Walt Disney himself before his death in 1966. The movie is mostly remembered today as an inferior version of “Lady and the Tramp,” but its voice acting and original music keep it a favorite of some Disney fans. 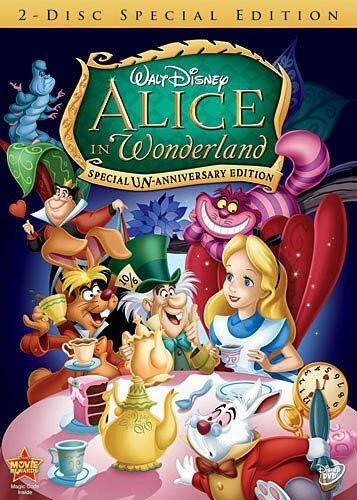 When “Alice in Wonderland” debuted in 1951, it wasn’t a hit with audiences or critics but it has since become a lasting favorite. It’s definitely regarded as one of Disney’s most whimsical projects, especially thanks to its animation of the Cheshire Cat. Walt Disney actually wrote the film off as a failure after it came out and tried to distance himself from it. But there will always be fans who hold a place in their hearts for this film’s psychedelic weirdness. 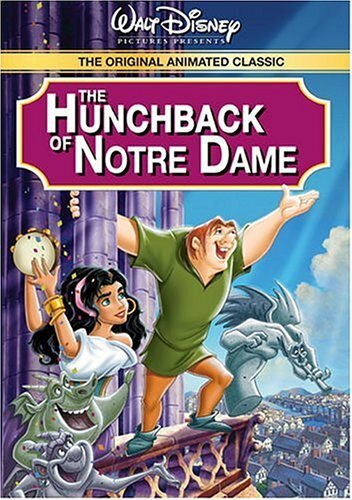 Looking back, it’s hard to believe Disney would make such a dark film in the middle of its ’90s boom period but “The Hunchback of Notre Dame” proved to be a big hit at the box office. Based on Victor Hugo’s beloved novel, it tells the story of a deformed man who lives an isolated life in 1400s Paris. The movie has mostly been praised by critics and audiences — except for diehard Hugo fans who felt Disney made too many changes to the story — despite adult themes and a color scheme that can border on drab. 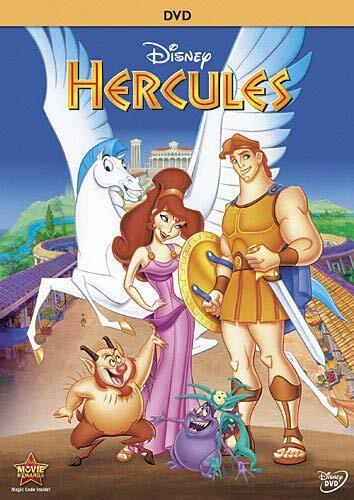 In 1997, Disney shareholders saw “Hercules” as more zero than hero, as its disappointing early box-office numbers actually hurt the company’s stock. The lighthearted adventure followed the Greek legend as he became a hero and tried to foil Hades. Kids who grew up on Disney in the ’90s (present company included) fondly remember the fun musical numbers and memorable side characters of “Hercules,” but others probably won’t consider it among the studio’s best. Honestly, its animation looks a little dull today when compared to Disney’s all-time classics. This rare gem for Disney in the otherwise-forgettable 2000s is as funny and likable as any of its movies. 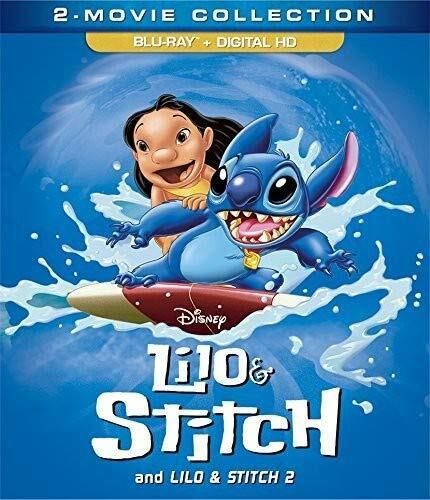 It tells the story of a Hawaiian girl who is raised by her older sister and befriends a mischievous alien who is being hunted by intergalactic forces. The film has been praised for its depiction of family and sisterhood. It gets credit for being more lively and less sappy than other Disney classics on this list. When “Tarzan” was being produced, it made news as one of the most expensive animated movies ever made — but when it came out, Disney’s gamble proved to pay off. Its cutting-edge animation was praised by critics at the time and, unlike some other late Disney films, still looks great today. 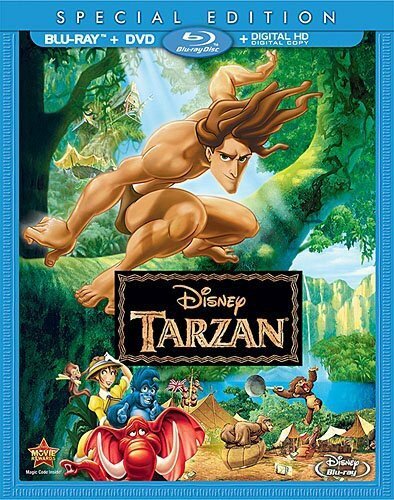 But it’s the timeless story of love between people from different worlds and the film’s big heart that make “Tarzan” an underrated favorite to this day. The Oscar-winning original songs from Phil Collins also don’t hurt. Diehard Disney fans of the 1990s will probably be shocked to see “Aladdin” so low on this list but time has not been kind to this lighthearted adventure. Its standing as a massive financial hit (the highest-grossing movie of 1992) and critical darling (a 94-percent Rotten Tomatoes score) can’t be argued with, but its treatment of Middle Eastern people and their cultures has not aged well. Numerous essays have been written in recent years about the racist way the characters are portrayed: Protagonists have Anglo-American features and voices while antagonists look and sound like caricatures of Arabs designed to scare white audiences. 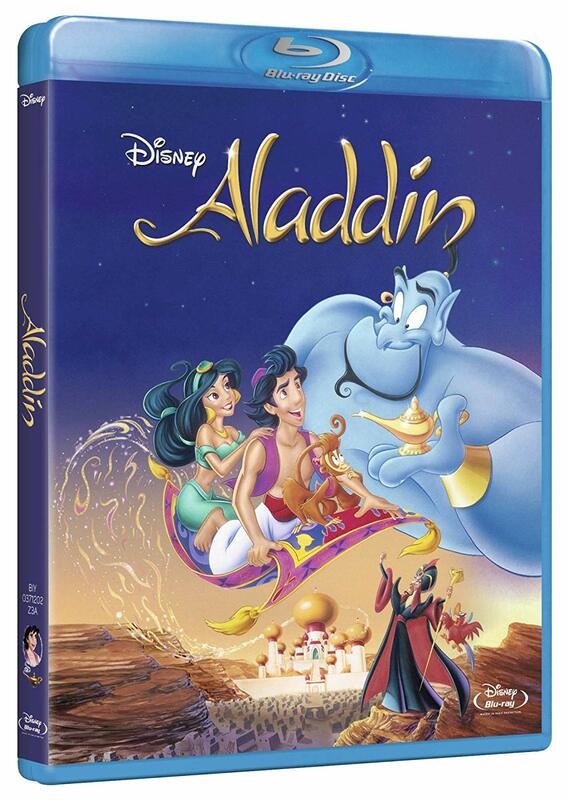 “Aladdin” was being criticized for insensitivity as early as 1993, when lyrics to the song “Arabian Nights” were changed for the first home-video release. However, the animation, original songs and immortal performance of Robin Williams as Genie keep “Aladdin” among Disney’s most popular films. 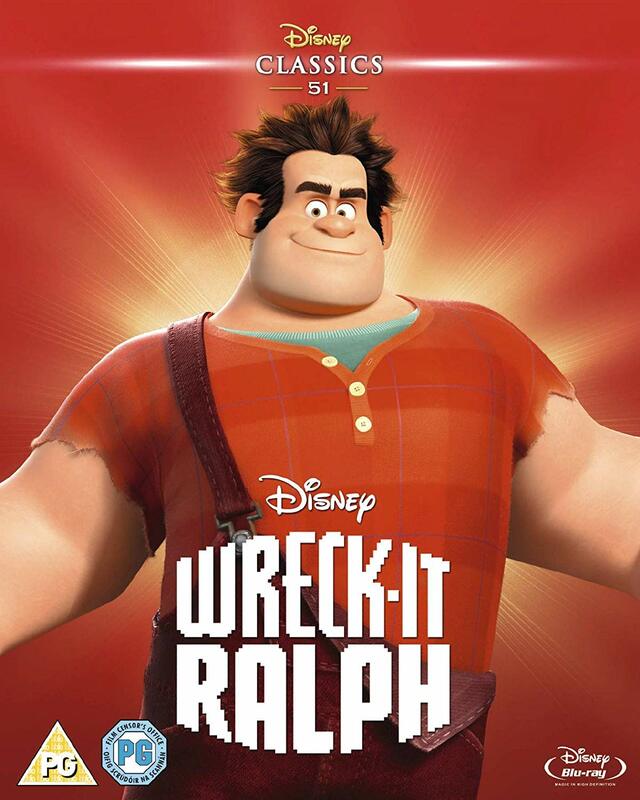 The rare Disney animated film that doesn’t have musical numbers, “Wreck-It-Ralph” is one of the studio’s best of the current decade. Its story of a misunderstood video game villain taking charge of his own agency will resonate with audiences for years. The film is set in the worlds of different video games and the computer animation is simply stunning — plus, it gives ’80s kids tons of nostalgic feels for their days at the arcade. More than six years after it came out, “Wreck-It-Ralph” is finally getting a sequel in 2018, proving that audiences want more of this unlikely hero. 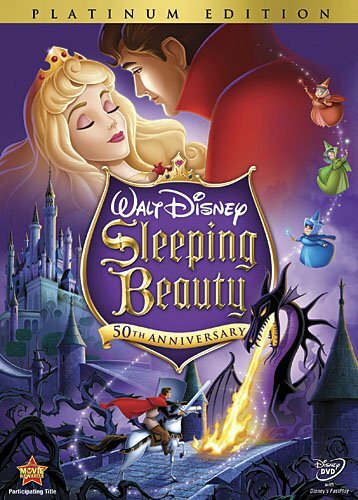 “Sleeping Beauty” was originally such a flop at the box office that Disney didn’t release another fairy-tale adaptation for 30 years! But that lack of initial success hasn’t hurt the legacy of this beautiful film one bit. Critics and audiences today have realized how remarkable “Sleeping Beauty” is thanks to its gorgeous old-school animation and beautiful music. Also, the film’s villain, Maleficent, has become regarded as one of Disney’s all-time best. Who doesn’t get a huge smile on their face when they think of these two pups innocently eating spaghetti together in the candlelight before accidentally kissing? It’s been listed as one of the 100 most iconic images in cinema history by AMC and who can argue with that? 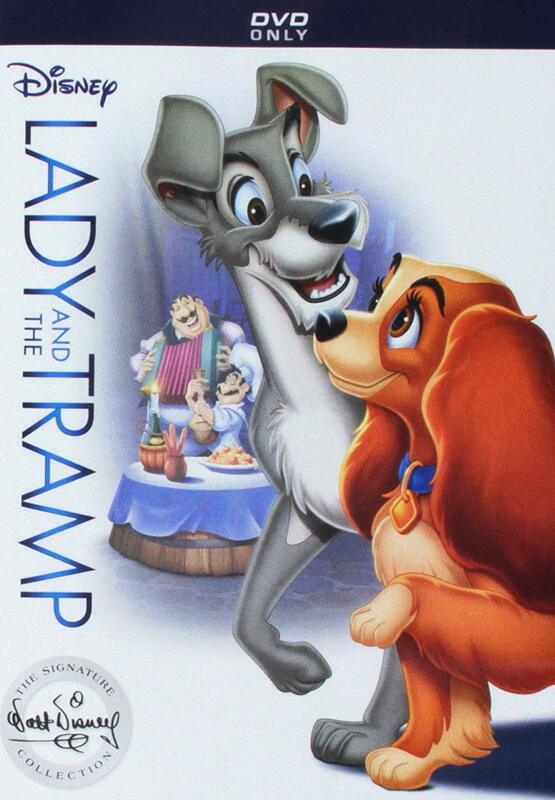 “Lady and the Tramp” is one of Disney’s classics whose reputation has only been strengthened over time as new audiences and critics have fallen in love with it.  The movie, which follows the unlikely love story between an aristocratic dog and a stray, has an impressive 93-percent Rotten Tomatoes score. 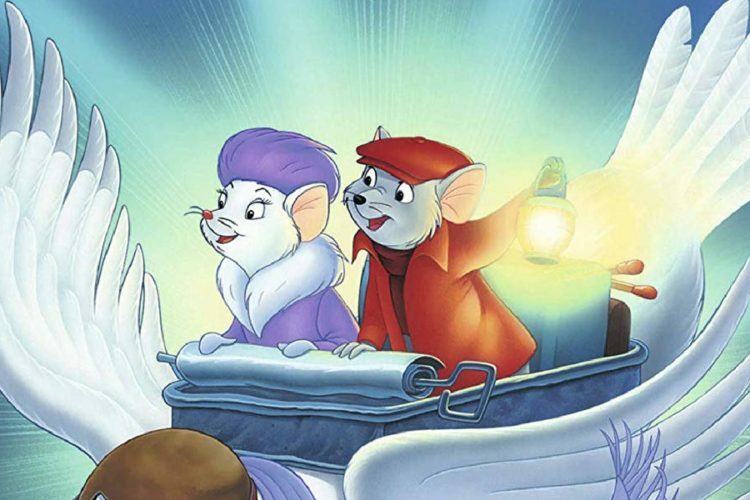 The story and characters of “The Rescuers” proved entertaining enough to make it the first Disney animated film to ever get a sequel. This 1970 favorite was a fun adventure that centered on a pair of mice who work to free a kidnapped girl. The characters of Bernard and Miss Bianca, voiced by Bob Newhart and Eva Gabor, are among Disney’s most charming lead couples and the sophisticated world the mice occupy shows impressive imagination. 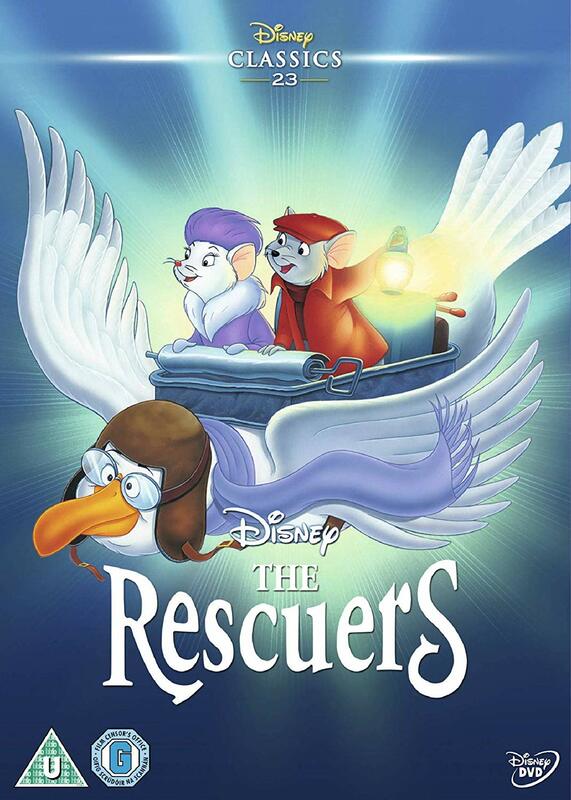 “The Rescuers” was a major hit for Disney and helped improve the company’s image as still-relevant after a lackluster decade. Who doesn’t get pumped up watching “Mulan?” This inspiring story of a Chinese woman who poses as a man in order to fight for her country in a war against the Huns is still one of Disney’s most feminist films. 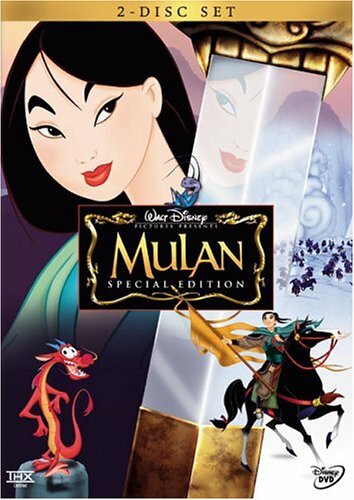 It might not have the prestige of some others from Disney’s 1990s boom period but “Mulan” has remained a favorite of fans and critics since it first debuted. Interestingly, about the only audiences who weren’t fans of the film were the ones in China, where it flopped. It’s almost impossible to oversell the importance of Disney’s first animated film, “Snow White and the Seven Dwarfs.” It basically invented animation as a legitimate form of filmmaking and proved audiences of all ages would pack into a theater to watch a cartoon. Audiences are still wowed by the beauty of the animation, which was painstakingly created, and this 1937 gem holds a near-perfect 98-percent score at Rotten Tomatoes. However, Snow White is arguably Disney’s dullest lead character and the film has been criticized for having a shallow message and for starting the studio’s awful trend of demonizing stepmothers. This adventurous film about a Polynesian princess who takes on the task of saving her village is the newest Disney triumph on this list. “Moana” is packed with colorful settings, even more colorful characters and great voice acting, especially from Dwayne Johnson. 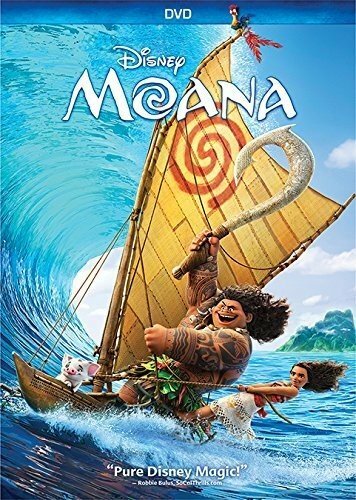 The film was a massive box-office hit and was beloved by critics but, not unlike “Aladdin,” it was slammed for what some saw as cheaply blending elements of various cultures into a single version of all Polynesian culture. If you’re looking for a close adaptation of Rudyard Kipling’s iconic book, look elsewhere. 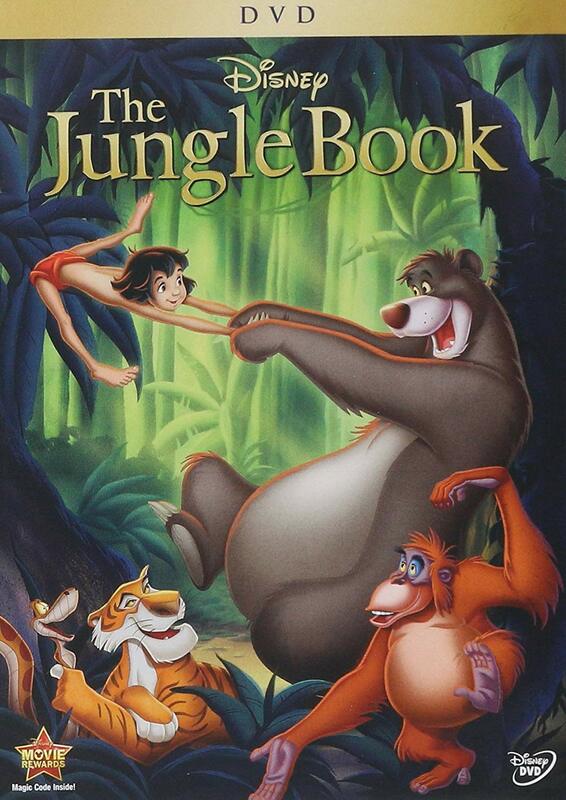 But if you want a fun, lively animated film full of memorable characters, Disney’s “The Jungle Book” is tough to top. It was one of Disney’s highest-grossing films ever when it hit theaters in 1967, helped along by the Sherman Brothers’ musical numbers that will stay stuck in your head for days. The film follows Mowgli, a feral boy raised by animals in the jungle, as he meets some of the most colorful creatures Disney ever animated. Who doesn’t want a friend like Baloo? This fun, if slightly disturbing, adventure is important to Disney’s history because it gave the studio a much-needed hit after “Sleeping Beauty” flopped at the box office. The story follows a pair of Dalmatians who have to rescue a bunch of pups from a terrible woman who wants to use their fur to make coats … I told you it was disturbing! 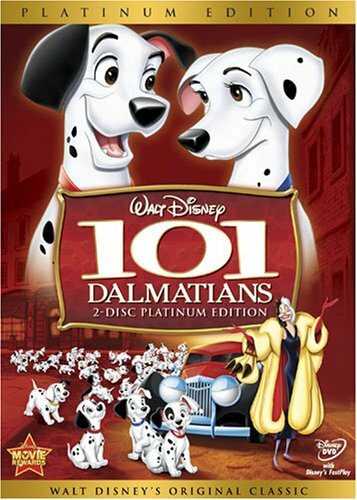 Critics have been in love with “101 Dalmatians” ever since it debuted and have continued to praise it as one of Disney’s most charming and pleasing movies ever, giving it a 98-percent Rotten Tomatoes score. The movie’s villain, Cruella de Vil, has gone down as one of the greatest evildoers in cinema history, according to the American Film Institute. 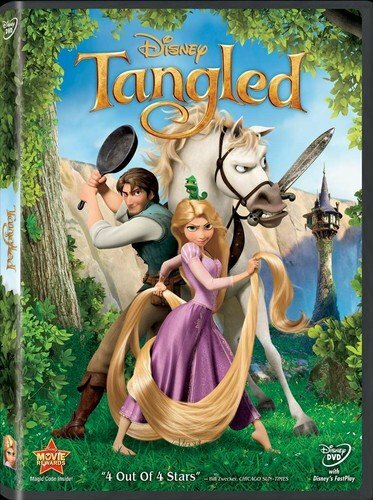 When “Tangled” came out in 2010, it made more money in its opening weekend than “The Lion King” had. The film was praised by audiences and critics for its gorgeous animation and for presenting a fresh, empowering take on the princess fairy tale. The story follows Rapunzel as she frees herself from a life of being trapped in a tower, with help from a thief. “Tangled” pre-dated the girl-power message perfected by “Frozen” and “Moana” in years that followed. 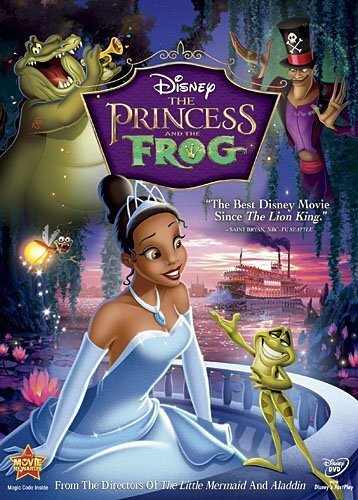 Criminally underrated among Disney’s princess films, “The Princess and the Frog” is arguably the most American animated story in the studio’s history. It follows a hardworking New Orleans girl named Tiana who is turned into a frog after kissing a cursed prince. The movie was a sight for sore eyes as it was Disney’s first hand-animated feature in five years and its most attractive one since the ‘90s. The original songs, by the legendary Randy Newman, are full of New Orleans flavor and Ray, the Cajun firefly who helps Tiana on her adventure, is one of Disney’s best sidekick characters. 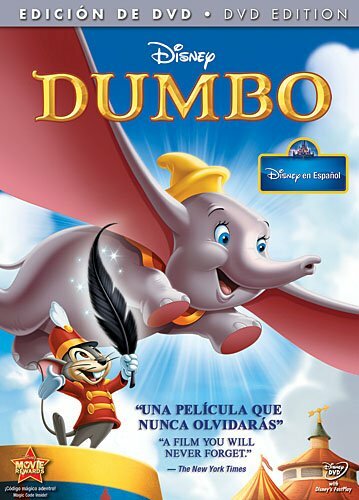 One of Disney’s earliest masterpieces, “Dumbo” remains a powerful and moving story about overcoming bullies and loving yourself. It follows an elephant whose big ears make him a target of insults among other circus animals but also give him the ability to fly. Jumbo Jr., who is cruelly nicknamed “Dumbo,” doesn’t speak a word in the film but is still regarded as one of Disney’s most beloved lead characters. The sweet message of “Dumbo” and its beautiful, vintage animation keep it a beloved favorite nearly 80 years after its release. After years of meager earnings and shrinking relevance, the Disney Renaissance kicked off in 1989 with this beloved, back-to-basics princess story. “The Little Mermaid” earned Disney its first Oscar nomination since “The Rescuers” and raked in more than $80 million at the box office in 1989. 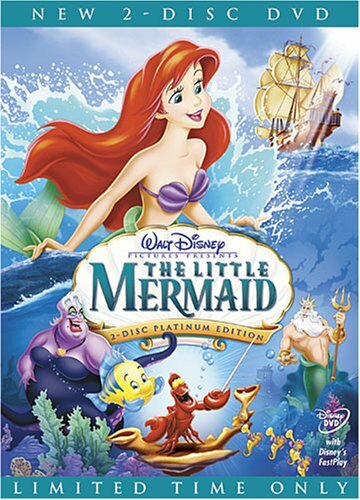 Audiences still love its story, which follows a teen mermaid princess named Ariel who dreams of living on land among humans. Sure, marrying off a 16-year-old girl to a grown man is a creepy way to end a heartwarming story, but it’s hard to not be charmed by the film’s imaginative undersea world, fantastic musical numbers and lovable characters. Plus, you have to admire Ursula’s sassy attitude and body positivity. 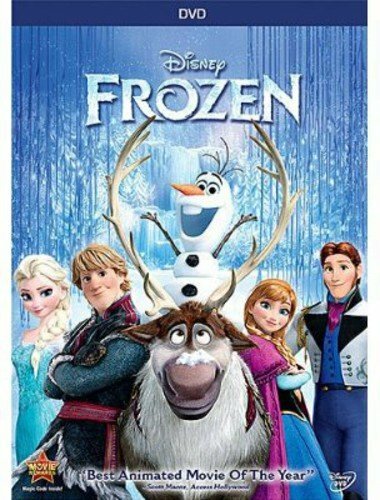 Few Disney films can qualify as instant classics but “Frozen” fits that bill. 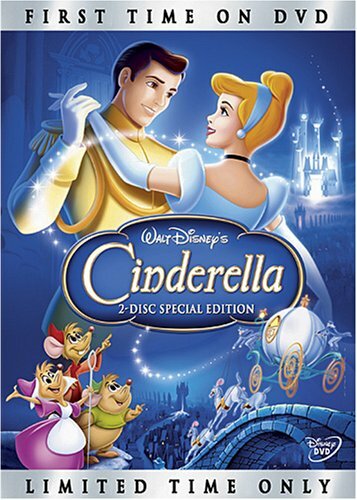 Not only did it make well over $1 billion at the box office, it won two Oscars and proved that Disney still liked to experiment with its princess formula. The movie follows a queen and her princess sister, as the former learns to harness a magical power that she’s been terrified of since childhood. “Frozen”‘s Queen Elsa has been viewed as Disney’s first LGBTQ princess but her sexuality isn’t explicitly stated in the film. No matter what lens you watch it through, “Frozen” is an empowering story of self acceptance and sisterhood — and it’s loaded with great songs! After a string of fantastic movies that bombed in theaters in the 1940s, Disney’s timeless fairy tale basically saved the studio. 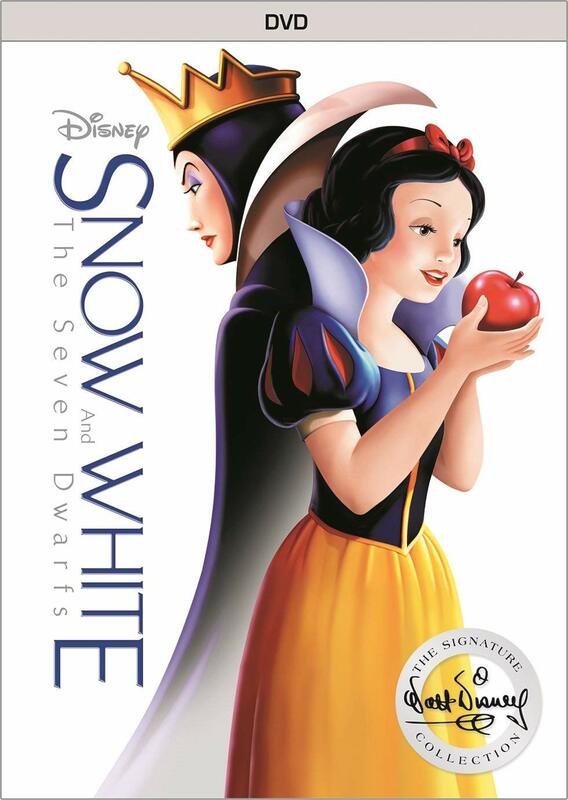 It is perhaps the quintessential princess tale and is loaded with iconic images, beloved characters and some of the most stunning animation ever drawn. Several of the film’s original songs, like “Bibbidi-Bobbidi-Boo” and “A Dream is a Wish Your Heart Makes,” are among the most beloved in Disney history. Cinderella herself is also deeper and more self-empowered than many of the studio’s other princesses, especially when viewed today. Who knew the highest-grossing Disney movie since “Frozen” would be a buddy-cop film that featured no musical numbers and no princesses? 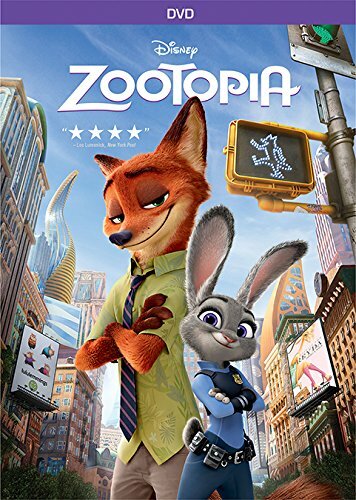 “Zootopia” follows the unlikely pairing of an overzealous rabbit police officer and a con-artist fox as they investigate a missing-animals case. “Zootopia” was praised by critics, earning a 97-percent Rotten Tomatoes score, and audiences, raking in more than $1 billion at the box office. It instantly launched to the top of Disney’s all-time greats due to its eye-catching animation, topical message of inclusivity and the role model in its lead character, Judy Hopps. One of the most original films ever produced by Disney is also one of its darkest and absolute best. 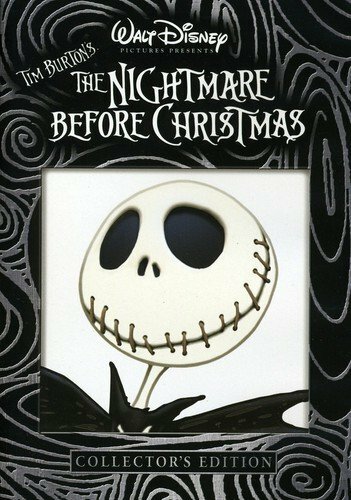 “The Nightmare Before Christmas” is set in a universe where each holiday has its own unique world and the residents of Halloween Town decide to take a stab at Christmas after kidnapping Santa Claus. The stop-motion animation is still breathtaking to admire and the world of “The Nightmare Before Christmas” is one of Disney’s most unique. The film has remained beloved thanks to its touching love story between two romantics who would be viewed as misfits in any world but their own. The only Disney movie to have a 100-percent Rotten Tomatoes score is this immortal classic, which was only the studio’s second film. It follows a puppet named Pinocchio who sets off on a journey to becoming a real boy. Pinocchio’s lovable best friend, a talking cricket named Jiminy, set the stage for all talking-animal sidekicks that would follow in the coming decades. 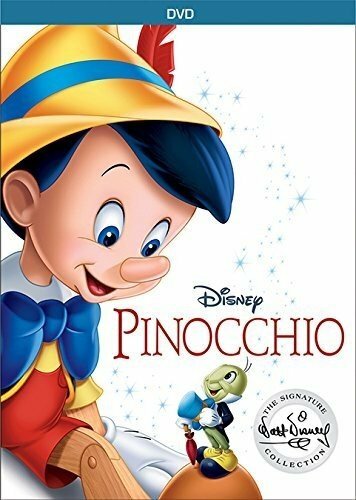 “Pinocchio” was considered a flop in 1940, losing money for the studio, but it has become known among critics as arguably Disney’s greatest achievement. It’s charming, sweet, thrilling, inspiring and scary, all in just 88 minutes. Few films in Disney’s history have become as legendary as this tale as old as time. It was a smash with audiences and critics and stands as, arguably, Disney’s greatest princess tale. It tells the story of a woman who is imprisoned by a prince who has been turned into a frightening beast due to his past transgressions. 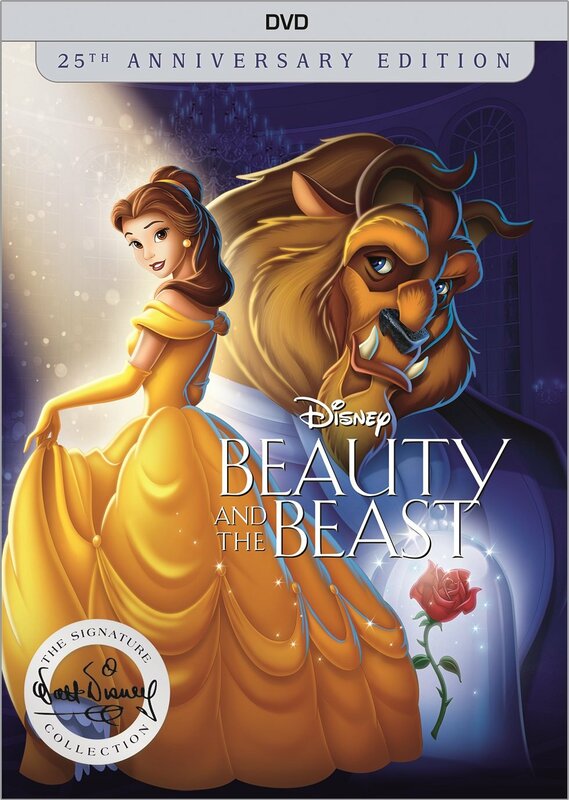 “Beauty and the Beast” holds the distinction as the first animated movie to ever be nominated for best picture at the Oscars and it made more than $400 million at the box office. Belle remains one of Disney’s most popular princesses and the original songs are in a class of their own. The scene where Belle dances with Beast in the ballroom will still give you chills nearly 30 years later. Audiences didn’t quite know what to make of “Bambi” when it hit theaters in 1942, but that’s just because this Disney classic was way ahead of its time. 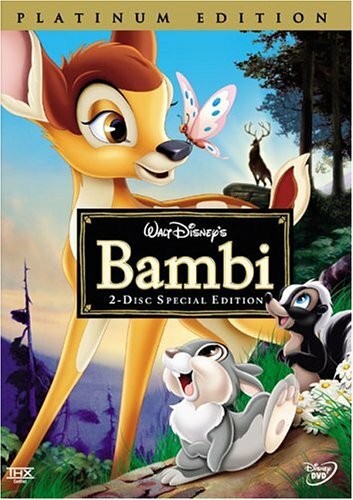 This beautiful film follows a young deer named Bambi as he learns how to survive in the harsh world of the forest. The first of countless Disney films to feature talking animals, “Bambi” was too unflinching for audiences looking for escapism in the early days of animation. Its message, which condemns humans for terrorizing nature, is still relevant more than 75 years on. The animation is still arguably the most gorgeous ever drawn and “Bambi” elicits plenty of tears to go along with its laughs and smiles. Take “Hamlet,” set it in the African wilderness played out among a family of lions and you’ve got the greatest film Disney ever created. It’s got the best top-to-bottom cast of any Disney movie, a massive range of emotional ground and some of the most beloved original songs ever. Oh, and it still has the most powerhouse opening sequence in animation history. Audiences have clearly been enthralled with “The Lion King” since day one, with Forbes declaring it the highest-grossing entertainment property of all-time, when the Broadway show and merchandising sales are taken into consideration. Disney has proven the unending allure of its 1994 classic by re-releasing it countless times, and producing several sequels, along with an acclaimed Broadway version and an upcoming live-action remake. 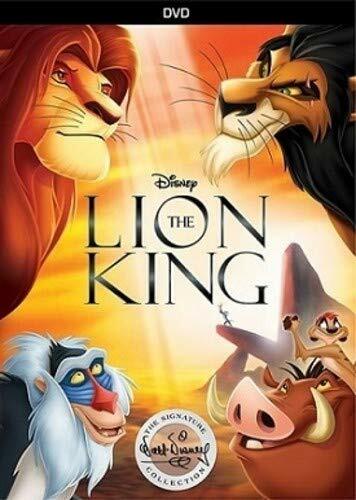 Among Disney’s greatest films, “The Lion King” sits at the top of the food chain.